Within Teamwork Projects, you can move from your legacy plan to a per-user pricing subscriptions by contacting our support team. A breakdown of our per-user plans can be found on our website. Any users you do not wish to include in your subscription should be downgraded to collaborators before the switch. Once the switch is completed, your site will be in a short trial period on your newly selected per-user plan. You will then need to create a subscription to the plan via your site settings. There are two types of user licenses in Teamwork Projects: standard users & collaborators. 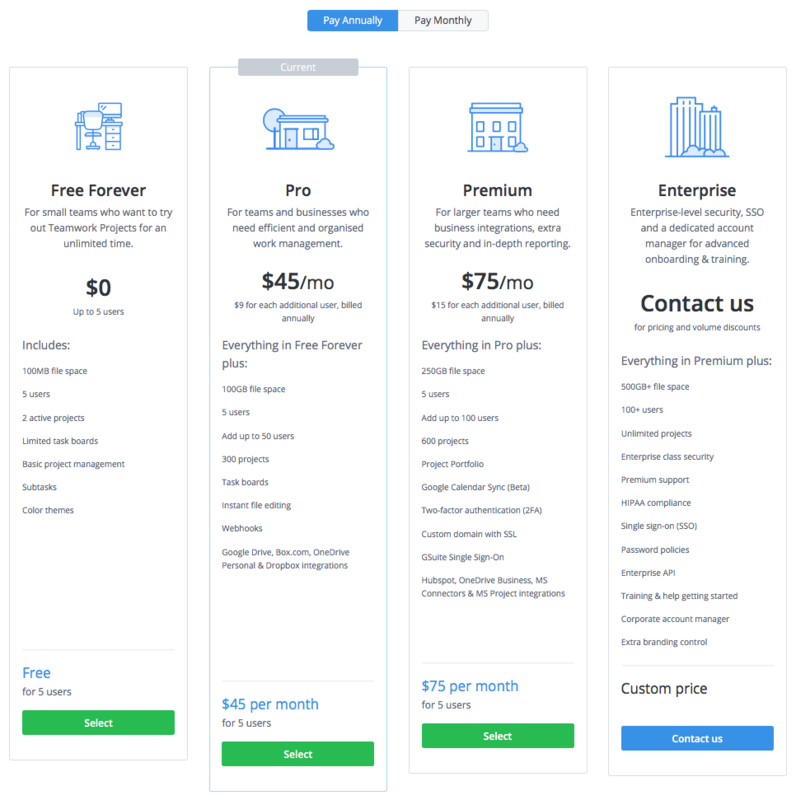 Standard users are billed in your recurring subscription, and can be given full permissions right up to administrator level. They can perform basic actions such as completing tasks assigned to them, milestones assigned to them, add and reply to messages and comment on project items. They cannot add new tasks, task lists, milestones, notebooks, links, log time, view the calendar or set statuses. The permissions collaborators have may be sufficient for some of the users on your site. Before changing plan, any users you do not want included in your paid subscription should be downgraded so they are not charged for in your subscription. To change an existing user to a collaborator, navigate to the People section of your site. To the far right of the user you want to downgrade, select the pencil icon and go to the Essentials tab of the edit details modal. You can then update the type to standard or collaborator. Note: Only site administrators in the owner company have access to this area. In the Subscription area, you will see an option to Create Subscription. At the top of the subscription page, you can use either the Team Members field or the slider bar to enter the number of standard users (paid) you want on your subscription. Note: If you enter a number that is smaller than the current number of standard users on your site, you will see a note letting you know that the extra users will be downgraded to collaborators. Choose between annual and monthly billing, and the corresponding available plans will be listed with their details. Select the plan you wish to subscribe to, to proceed to payment.